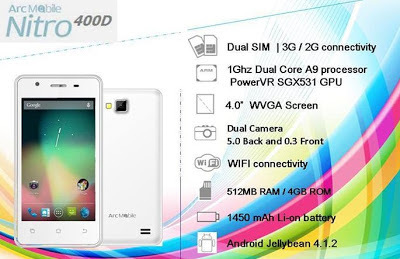 Since Arc Mobile has started having business in the country, Ive been watching high and low about their mobile and tablet devices, since I'm finished working with its previous release Arc Mobile Nitro 450QD. Its time to talk about Arc Mobile Nitro 400D, surely what makes them different of all their rivals e.g Myphone, Cherry Mobile. 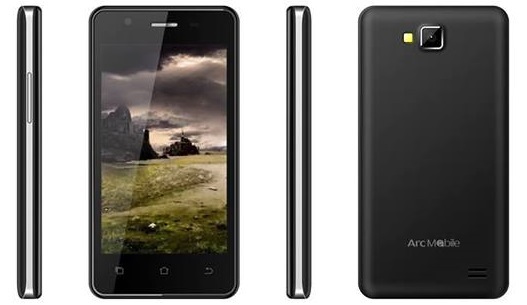 They claim that's the price of Arc Mobile Nitro 400D is much affordable compared to other local brands Dual Core smartphones, they also claim that Arc Mobile Nitro 400D is much durable and high standard build. Already available in the Philippines nationwide.